If you are looking for a versatile product, you can’t beat ricotta cheese. 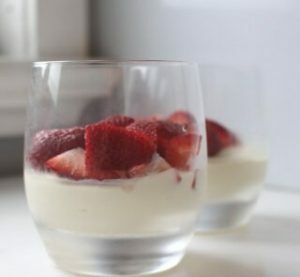 Ricotta is so handy to have in the fridge to enable you to quickly execute a delicious dessert. Of course, it is often used in a creamy cheesecake, or baked into a cake. But it can also be used for more spontaneous desserts. Once you learn to make this beautiful ricotta and mascarpone whip, you will see how. 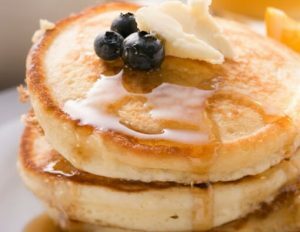 This creamy whip can be the base for many sweet options. You could use it to pipe your cannoli, to top your favourite seasonal berries, or even serve a big dollop on top of your pancakes or french toast! 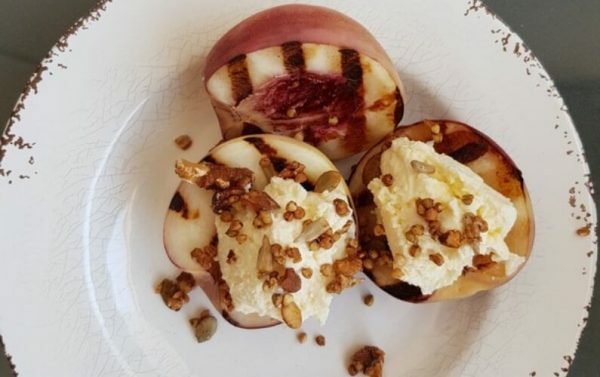 In this recipe, we have combined the gorgeous ricotta and mascarpone whip with some grilled white peaches. Pure heaven! Bon appetit. We didn’t use any sugar for this recipe, but if you have a more tart fruit, or want it much sweeter, you can add some to your whip. What’s the difference between ricotta and mascarpone? Ricotta and mascarpone are made very differently. Ricotta is made from the leftover whey from cheesemaking. It’s consistency is light and similar to cottage cheese. Whilst mascarpone is made from cream, and is dense in texture. Together, the cheeses produces a gorgeous creamy consistency which is easily piped and well suited to dessert dishes. To serve, assemble the warm peaches cut side up on serving plates or bowls. Add a dollop of ricotta whip on top of each peach halve. 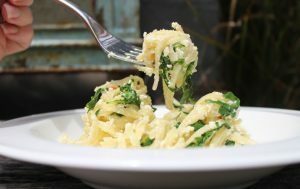 Or head to our recipes page for the latest recipes and food ideas featuring Olympus Cheese!